Press Office at Clarence House, London SW1A 1BA announced today that Prince Charles, The Royal Highnesses The Prince of Wales and Camilla, The Duchess of Cornwall will make a three day official visit to Sri Lanka from Thursday 14th to Saturday 16th November 2013. In Sri Lanka, Prince Charles will officially represent Her Majesty The Queen at the Commonwealth Heads of Government Meeting (CHOGM) in Colombo. Prince Charles The Duchess of Cornwall will attend the official opening ceremony and a dinner, hosted by The Prince, for Commonwealth Heads of Government. During their stay in Sri Lanka, both The Prince of Wales and The Duchess of Cornwall will also carry out a programme of official engagements including a visit to a mental health initiative and a hospital. Previously, The Prince of Wales and The Duchess of Cornwall attended the official banquet of the CHOGM in Uganda in 2007 representing Her Majesty The Queen. The Prince of Wales last visited Sir Lanka in 2005 in the aftermath of the Boxing Day tsunami and previously in 1998. This will be The Duchess of Cornwall's first official visit to Sri Lanka. Prior to Sri Lanka visit, Prince Charles and The Duchess of Cornwall will be in India from Wednesday 6th to Thursday 14th November. The Prince of Wales has made seven official visits to India. This will be Camilla’s third official visit to India, having previously accompanied Prince Charles in both 2006 and 2010. Prince Charles’s visit to Sri Lanka was officially confirmed in a press release issued from Clarence House this morning. 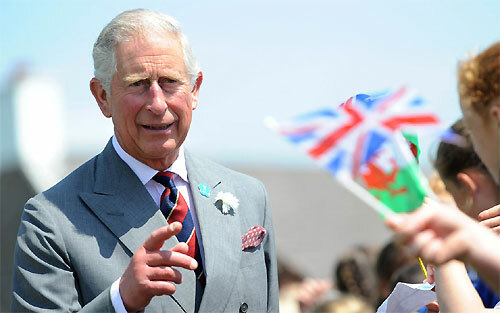 Their Royal Highnesses The Prince of Wales and The Duchess of Cornwall will make a nine day visit to India next month before moving on to Sri Lanka where The Prince will represent Her Majesty The Queen at the 2013 Commonwealth Heads of Government Meeting (CHOGM). This will be Their Royal Highnesses third official visit to India together. They will undertake a broad range of engagements to promote the strong UK-India partnership in key areas such as conservation, education, growing business links, women's empowerment and training. They will also have the opportunity to celebrate religious diversity, creativity and the vibrant individual family ties between the two countries. In their most extensive visit to India to date, The Prince and The Duchess will travel to Dehradun, New Delhi, Mumbai, Pune and Kochi where they will meet India's top political, business and cultural leaders. Specific events include The Prince making an off-road trip into an "elephant corridor" in Kerala, The Duchess visiting the prestigious Doon School, and both Their Royal Highnesses visiting the Indian Military Academy and attending a gala dinner in Mumbai with a Bollywood flavour. They will also mark Remembrance Sunday while in India. In Sri Lanka, The Prince of Wales will officially represent Her Majesty The Queen at the Commonwealth Heads of Government Meeting (CHOGM) in Colombo. Both Their Royal Highnesses will attend the official opening ceremony and a dinner, hosted by The Prince, for Commonwealth Heads of Government. In addition, The Prince will hold a small number of meetings with Commonwealth Heads and others on issues of key importance to the Summit. While in Sri Lanka, The Prince and The Duchess will also carry out a programme of official engagements including a visit to a mental health initiative, a hospital and a tea estate. The Prince last visited in 2005 in the aftermath of the Boxing Day tsunami.